They’ll never grow up again, so don’t let yourself be distracted. On a sparkling, 70-degree winter day in Arizona, my 2-year-old son and I raced around the park. He loves to run and for me to chase. Another toddler boy joined in, and off we went, easily running a half-mile from where we started. I kept looking forward at my son and back at the little one following us. His mother was nowhere in sight. I felt responsible for this child I’d never seen. She looked surprised and started to scold him: “You have to stay in this area and not leave.” She then returned to staring at her phone. Whatever she was reading was more compelling than her son. I told the story to a neighbor, and she recounted a time she watched in horror a mother who was too busy on her cellphone to notice her toddler’s hand getting stuck in an elevator door. Everyone wants attention. Kids especially need it. Putting my phone away is a win-win. I’m more aware of my surroundings, and every day my son shows me new aspects of himself—stringing together sentences with new words, helping trees when their branches have fallen off (his solution is to tape them back on). These precious moments are fleeting and easy to miss. Like most people, I’m addicted to my phone, but I do my best to stay focused on what really matters. Those moments I waste mindlessly scrolling through social-media feeds and emails can never be gotten back. 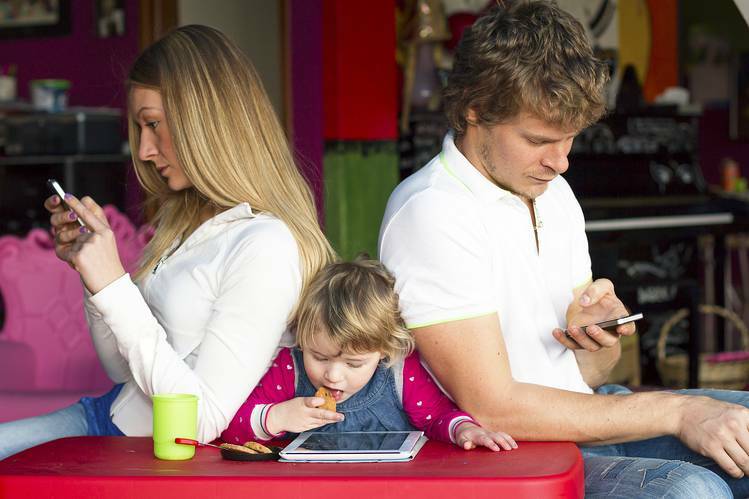 Maybe it is time we all got off our damn cellphones and focused on our children. They’re worth our attention. They don’t wait to grow up, and if you miss these moments, they’re gone forever. Ms. Siegel is a freelance reporter who covers international affairs, business and travel. My grandfather fought 17 battles in the German trenches during World War I, earning an Iron Cross for bravery. But when Jews were no longer welcome in his homeland, he and his family fled Frankfurt for Rhodesia. Today, as Germany has opened its borders to more than a million refugees, stories of anti-Semitism have returned. In April a Syrian migrant attacked an Israeli man wearing a skullcap in Berlin. The Israeli filmed the encounter on his smartphone, which showed the 19-year-old assailant shouting “Yahudi!”—Jew in Arabic. Although the attacker later apologized, the leader of Germany’s Jewish community urged caution when wearing skullcaps in large cities. “So, get another passport,” he responded, smiling. I shook my head at the irony. Here was a Jewish man, whose family fled Nazi Germany, whose Israeli wife had family that were shelled by Syrian forces, offering to help a Syrian Muslim keep his family safe. As the years went by, Saqib reached out sporadically via email. He said his factory had been destroyed, some of his workers killed, his best friend murdered by the regime. He was living in Europe starting a new business. He said he didn’t know what to tell his children, because he was beginning to despair. The world was standing by as the carnage continued. A few months later, Saqib reported how touched he was by the support Jewish groups were giving Syrian refugees. “In fact, they have done what our fellow Arabs—mainly the Gulf States—have miserably failed to do,” he wrote. “Last week I attended a gathering organized by a local synagogue that just restored my faith in humanity.” He followed up with an article from a synagogue bulletin. A photo showed Saqib and his family at a Passover Seder. 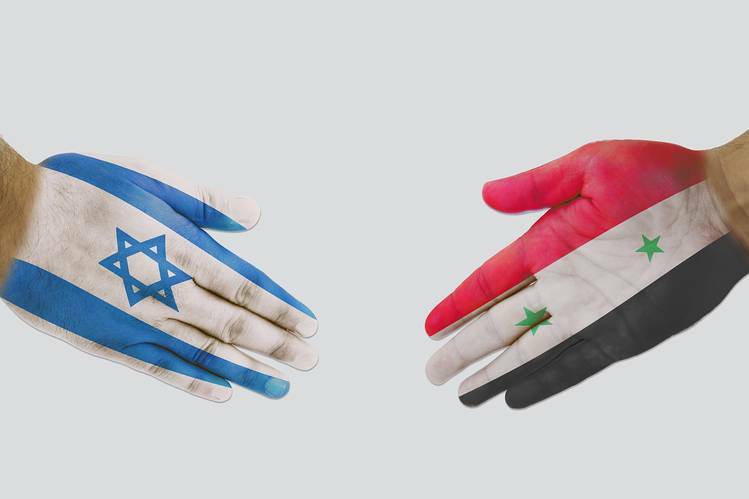 It is encouraging to realize that interactions between Syrians and Israelis can be positive, and heartening to know that Jewish people and groups are reaching out to help in the Syrians’ time of need. Certainly, they know all too well the consequence of silence in the face of mass murder. As a travel writer, I’ve jumped out of an airplane in New Zealand, hiked up a desert mountain to watch the sunrise in Israel, and learned to surf in 55 degree water in San Diego—but none of these activities compare to the challenge of traveling with a toddler who doesn’t have the word “sit” in his vocabulary. But traveling with my almost two-year-old son can also be a lot of fun, because he’s so curious about the world. And through trial and error, I’ve figured out the best way to avoid meltdowns when we fly. Do not get on the plane early with your toddler just because families are allowed to pre-board. That is actually the worst thing you can do! If possible, have your partner board first to set up everything you need while you let your child run and play in the terminal until he’s exhausted. Then board at the last minute. The less time he spends cooped up in a buckled seat, the better. It doesn’t have to be refrigerated! If your child likes milk warm, the attendant can give you some warm water in an airsickness bag to stick the bottle in for heating up. If he prefers it cold, ask for ice to chill it. Skip the Stroller in the Terminal. Don’t let your child sit in the stroller while you’re walking through the airport. Instead, put your bags in the stroller and have your little one hold your hand and walk with you. The more he moves, the more likely he will sit or sleep on the plane, which is easier than dealing with a squirmy toddler. Maximize Your Fun at the Airport. Before you leave on your trip, take a few minutes to check out what there is to do or see at the airport. My little boy loves trains, so in the Dallas-Fort Worth International airport, we rode the train six minutes to the international terminal, where there was an interactive art exhibit. We spent a few minutes wandering through it and then rode back to our terminal. Other airports have museums, aquariums, or viewing decks where you can watch the planes take off and land. There might be an activity the whole family can enjoy more than sitting around the departure gate. For every flight I buy an interactive toy and bring an art project. The key is to find lightweight items, so they don’t bog you down with more things to carry. Cupcake papers and pipe cleaners can be used to create paper flowers. I also love the Crayola Double Doodle which has a whiteboard on one side to draw on with crayons, and a gel surface for fingers on the other, and the Play-Doh Fun Factory. Times of Israel: Who is the Real Enemy? Also, Israeli settlers had built greenhouses to grow vegetables when they were living in Gaza. Instead of dismantling them before they left, the settlers sold them to American Jewish donors for $14 million. The greenhouses were then transferred over to the Palestinian Authority in order to help create economic opportunities for the Palestinians. Former World Bank President James Wolfensohn, who brokered the deal, put up $500,000 of his own cash. After September 11 America didn’t run, we didn’t hide, we took care of business, at a very high price: we lost over 2,000 American soldiers. In the process, estimates suggest over 170,000 innocent civilians in Afghanistan were killed. Additionally, the United States is the largest single-state donor to the U.N. Relief and Works Agency for Palestine Refugees in the Near East (UNRWA). America has taken a keen interest in also helping the Palestinians develop an economic infrastructure. If the money was allocated properly; Gaza would have become the Singapore of the Middle- East, a thriving beach resort metropolis. Rome wasn’t built in a day, but if you just have a day and are a first time visitor to the eternal city the must-see places are the Colosseum, the Forum, the Vatican, the Trevi Fountain, the Pantheon and Piazza Navona. From Rome’s cruise port, Civitavecchia, take the fast train to the main station Rome City Centre, Termini Station. From there, either take the metro or cab it to your starting point. Taxis are extremely expensive, but worth the cost if your time in Rome is limited. View the ride as part of your tour since the cab will drive past many iconic sites. Tip: Reservations for everything from museums to restaurants is a must and the more you arrange in advance the better. If adrenaline-pumping adventure is on your list — and you already know how to ride a motorbike — rent a scooter and explore the city. If you have never maneuvered a motorbike, Rome, with its chaotic traffic and sometimes aggressive drivers, is not the place to start. OnRoad is one of the companies that allows you to reserve a motorbike online. Be sure to bring your driver’s license and passport with you when arrive for your scooter. You don’t need any experience to glide by the Eternal City’s sites on a Segway. The three-hour tours start with instruction and continue with a follow-the-leader, single-file sightseeing past the Roman Forum, Colosseum, Orange and Rose Gardens as well as other sites. Companies include Italy Segway Tours; book ahead. If intrigue excites you, see the Castel Sant’ Angelo. This towering cylindrical building, initially commissioned by Roman Emperor Hadrian as a mausoleum, now serves as a museum. It was also used by popes as a fortress and castle. The Castel connects to Vatican City via the Passetto di Borgo, an elevated passage that on several occasions served as an escape route for popes in danger. Every night is a party in Rome, especially in Trastevere, home to myriad bars and restaurants and streets filled with twentysomethings. Start in Piazza Trilussa at Enoteca Ferrara, a wine bar, café and restaurant. The wines are excellent as is the selection, but items are pricey. If Italian opera, ballet and concerts are more your style, check out Teatro Dell’Opera Di Roma for a selection of options such as the ballet Giselle and the opera Samson and Delilah. History comes alive at Palazzo Valentini, a museum housed in two patrician villas. Using multimedia technology, the facility recreates an ancient Roman home. Through clever light shows the bare stones morph into mosaics, baths, furnishings and even a kitchen. Buy tickets prior to arrival as the English tour sells out days in advance. When in Rome, taste some of the bites locals enjoy. From Aroma, located on the rooftop terrace of the Hotel Palazzo Manfredi, indulge with both a view of the Colosseum and the culinary creations of Chef Giuseppe Di Iorio. Good bets include the homemade fusilli pasta, Kobe beef and medallions of monk fish. Meals are pricey. For a midrange palate pleaser, dine at La Taverna del Ghetto located in the Ghetto. Try the carciofi alla giudia, or fried artichokes and the meat-filled ravioli. Save room for the delicious desserts. For cheap eats, especially with children, Roma Sparita, a kid-friendly restaurant in Trastevere, attracts locals and tourists. The place is best known for the tasty cacio e pepe, noodles with cheese and pepper. If money is no object, there are plenty of ways to spend it in Rome. For fabulous shopping, go to the Spanish Steps and replenish your closet with everything from gorgeous leather shoes to stunning suits and dresses. Prada, Fendi, Louis Vuitton, Dior, and Hermes are among the luxury brands sold in the area. By booking private tours of popular sites, you skip ahead of even those waiting in priority lines, a prime way to maximize shore time and pick the focus that interests you. Among the possibilities are personalized tours of the Vatican Museums and St. Peter’s Basilica; a tour of the Borghese Gallery and gardens with an expert in Baroque art; a sightseeing drive through Rome in a vintage Fiat 500 manned by your chauffeur/guide. Viatour is among the companies offering private tours. For a pre- or post-cruise treat, the Palazzo Manfredi hotel offers guests Lamborghini rentals. There are countless opportunities to take those quintessential photos of streets lined with cafés, windows filled with flowers and lovers walking hand-in-hand. Stroll the Piazza Navone, known for its three fountains, including Quattro Fiumi (Four Rivers) for which Bernini was commissioned on the occasion of the Jubilee of 1650. Today artists display and sell their work in the Piazza where you can enjoy an authentic Italian coffee, gelato or glass of bubbly at one of the many outdoor cafés. In Trastevere, pause at 34 Vicolo del Cedro to meet artist Mohssen Kasirossafar, often seen with his cat on his shoulder. His musical instrument shop carries lutes, guitars and harps. Then find your way to Piazza Santa Maria Trastevere and see the church. For a romantic lunch, cross the bridge by Piazza Trilussa and go to Beppe e I Suoi Formaggi, Via Santa Maria del Pianto 9A/11, a wine and cheese shop that is also a restaurant. Share a cheese platter, salad and bottle of wine and discuss your favorite Rome moments. In this walking city, the best way to explore is to wander. Arm yourself with a map and start on the cobblestone streets of the Ghetto. Grab a slice of pizza while you walk towards Campo de Fiori, a piazza in the historic center of Rome with an open-air market filled with flowers, fruits, pasta and olive oils. From there, stroll to the stunning Piazza Navona, which is surrounded by kid- friendly ice cream shops and on sunny days filled with artists selling paintings and prints. Find your way to the Pantheon where the entrance is free and the view priceless. Then look for the signs that guide visitors to the Trevi Fountain where if you like what you see in Rome, toss a penny over your shoulder into the fountain to ensure you will come back. –Masada Siegel is a freelance journalist and author of “Window Dressings” which can be found at masadasiegelauthor.com. HONG KONG—From high to low, here’s how to see and stay and play in Hong Kong. The Peninsula Hotel built in 1928 is Hong Kong’s oldest hotel and is a mix of colonial and classic, but with all the modern amenities and breathtaking views of Victoria Harbour. Buffet breakfast is served daily in The Verandah. Price for adult is $37 and $26 for children. Rooms from $640 a night. peninsula.com. Salisbury Road, Tsim Sha Tsui, Kowloon. The Salisbury Hotel, also known as the YMCA, is a two minute walk from the Peninsula and It boasts the same spectacular views for a fraction of the price. A buffet breakfast is available from 7 to 11 a.m. and prices start at $9. The rooms are clean and the beds comfortable. Single room from $130. ymcahk.org.hk. 41 Salisbury Rd., Tsim Shat Tsui, Kowloon. City Super is an international gourmet market selling everything from Korean Kimchi to high end cupcake papers, cheeses, wines and sake. The panda rice ball maker ($13) lets you shape rice balls like a panda’s head. The sake gift set starts at $42. citysuper.com.hk. IFC Mall Level 1 Shops 1041-1049, Central, Hong Kong. 10 a.m. to 10 p.m. daily. Step back in time and enjoy the classic afternoon English tea at the Peninsula Hotel. Indulge in the crumbly scones mixed with melt-in-the-mouth pastries. Experience the ceremony of a traditional tea while listening to live classical music. Reservations suggested. From $68 for two. Served from 2-6 p.m. daily. Peninsula Hotel, Salisbury Rd, Tsim Sha Tsui, Kowloon. Reservations: 852-2315-3146 or at peninsula.com. Planning on a romantic destination wedding? Try saying your vows in Scottsdale, Hawaii, or Scotland. Or try a cruise wedding. The decision to have a romantic but casual beach wedding will set the stage for all the wedding decisions to come, from the dress to the decor. Planning a wedding is one of the most stressful events in a woman’s life. It is challenging to organize the big day in your own city, let alone plan a destination wedding. However, if your dream is to get married outside in November or plan an intimate event just for close friends and family, there are a myriad of options and ways to turn your dreams into reality without completely losing your mind. Where you decide to say “I do” will determine every aspect of your special day from the dress to the decor. So the first decision is the location. Does the desert with its golden sunsets appeal to you, or are you more of a beach person? What about a romantic city? Places to consider for an outdoor winter wedding would be Arizona, Hawaii and the Caribbean. If old-school charm is a desire, perhaps Florence, Italy. For a fairy tale come true, a château in France or Scotland might be the perfect place. And for those who want an extended party, getting married on a cruise is an option. Scottsdale, Ariz., has an average of more than 300 days of sunshine yearly, so the odds are in your favour for a picture-perfect day. Getting married at sunset on a golf course with purple mountains glowing in the background is a spectacular way to walk down the aisle. The Hyatt at Gainey Ranch in Scottsdale offers fantastic views, delicious food and helpful staff. The resort has outdoor pools, hot tubs, waterfalls and a man-made beach. hyattregencyscottsdale.com. Scottsdale also offers wedding guests plenty of activities. They can hike nearby Camelback Mountain, shop at Scottsdale Fashion Square and take in native American culture at the Heard Museum. Florence is an over-the-top romantic city. There are endless museums as well as spectacular backdrops for photos. It is a unique city because it hosts stunning and historic locations for many religions. For instance, a Catholic wedding can be celebrated in one of the Renaissance churches, while a Jewish wedding can be held at the Great Synagogue of Florence, which was built in a Moorish style and is one of the most beautiful in Europe. For the bride looking to create an elegant wedding, the Château de Challain located in the Loire Valley region in France will wow the imagination. It is the venue of choice for any bride wishing to live out a fairy tale, as it appears to be straight out of a storybook. Hawaii might be one of the easiest places to plan a destination wedding. Many hotels have entire staffs devoted to planning weddings. The packages are all-inclusive and the resorts provide detailed websites with photos of venues and menu choices. The Caribbean offers endless beaches, tantalizing choices for fine dining, luxurious spas, golf courses and plenty of water sports. An ideal place to say “I do” is at the adults-only Royal Suites Turquesa by Palladium in Punta Cana Dominican Republic. Getting married at sea is fabulously romantic and a way to keep the party going for a few days. Holland America offers a plethora of options ranging from a marriage ceremony on board, on an exotic Caribbean island beach or on top of a majestic Alaskan glacier. Masada Siegel is a freelance writer based in Arizona. Where you decide to say “I do” will determine every aspect of your special day from the dress to the decor. So the first decision is the location. Does the desert with its golden sunsets appeal to you, or are you more of a beach person? What about a romantic city? Places to consider for an outdoor winter wedding would be Arizona, Hawaii and the Caribbean. If old-school charm is a desire, perhaps Florence, Italy. For a fairy tale come true, a château in France or Scotland might be the perfect place. And for those who want an extended party, getting married on a cruise is an option. The Hyatt at Gainey Ranch in Scottsdale offers fantastic views, delicious food and helpful staff. The resort has outdoor pools, hot tubs, waterfalls and a man-made beach. hyattregencyscottsdale.com. Scottsdale also offers wedding guests plenty of activities. They can hike nearby Camelback Mountain, shop at Scottsdale Fashion Square and take in native American culture at the Heard Museum. Italy, Slovenia and Croatia by cruise ship offers wondrous sights. Venice is one of those dreamy cities filled with blue-green canals, quaint bridges, magnificent art and outdoor cafés. Every sense is seduced, from the scent of freshly baked pizza, to the sight of people gently floating by on boats, ships and gondolas. We wandered through streets lined with glassware, masks and bakeries. In every direction, a new secret path to take, each appearing more enchanting than the one previous. It was a challenge to decide where to let our feet take us. This was Italy at its finest, the cool, crisp air blew against my face, and the lapping waters of the canals sounded like music. But the best was yet to come – a floating palace awaited us. No need to roll my large suitcase onto water taxis or over canals. Royal Caribbean cruise line is all about the “royal” treatment. Our stateroom welcome included a bouquet of red roses and a heaping platter of fruit. Every day, we were surprised with overflowing plates of chocolate and cheese, not to mention a menagerie of creatures, like elephants and bats, which had been created out of towels to greet us upon returning from off-ship adventures. The ship, Voyager of the Seas, accommodates more than 3,000 passengers, and the choice of on-board activities is endless, including ice-skating and rock climbing. Fancy eateries abound, and there’s even a Johnny Rockets restaurant. The stops included Kuper in Slovenia, Dubrovnik in Croatia, and Bari, Ravenna and Venice in Italy, and the ship provided myriad choices for excursions, while more independent travelers could tour on their own or hire a guide. The first evening, we set off accompanied by a spectacular sunset while cruising down the enormous Giudecca Canal. According to many, Giudecca means “the Jewry.” Hundreds of people gathered on the top deck of the ship to see the splendors of St. Marks Square and the city of Venice as we silently sailed into the night. Our next day started early in Slovenia, and began with a downpour. Regardless of wet feet, Kathy and I ventured into Kuper and found a quaint café off the main square, where we proceeded to escape the rain, indulge in coffee and enjoy the free wireless Internet. The sun started to peek out just as our private tour guide, Alen, picked us up and whisked us through the spectacular Slovenian countryside. The Soca River was unbelievably aqua-blue and we were astounded by a huge waterfall flowing out of a mountain of sheer rock. Slovenia, a country of two million people, is so pristine, it seemed to be a Hollywood set. The views were breathtaking, and Alen’s driving at breakneck speeds, about 200 kilometres an hour, left me breathless. We drove through the windy roads of the Slovenian Alps, snow on the ground in areas, and the steep mountains, which were littered with flocks of sheep. One feisty fellow made a beeline straight for us. He seemed to have a hankering for cameras and kept nudging me to take his photo. Lunch was at Milka, a restaurant in Kranjska Gora, overlooking a white snow-capped mountain and a sparkling blue lake surrounded by green grass dotted with flowers. The delicious food and warm atmosphere of the restaurant contributed to the magic of the day. Our day concluded with a stop at scenic Lake Bled and a drive through the Italian port city of Trieste, just across the border from Kuper in Slovenia. The evenings on the ship added to the adventure and included Broadway-style shows in a theatre that holds hundreds of people. Then there are the endless meal choices and bars and there are bands playing in seemingly every corner. The attention to detail was exceptional; it was hard not to grin at the smile-inducing sculptures fashioned out of various melons and fruit. The next few stops were in Italy, and one of the excursions possible from Ravenna was a trip to Florence. It’s a bus and train ride away, but well worth the effort. The Italian Jewish community dates back to 161 BCE, when Jason Ben-Eleazar and Eupolemus Ben-Johanan came as Judah Maccabee’s envoys. Jewish merchants, doctors and bankers started settling in Florence in the late 14th and early 15th centuries. The Great Synagogue of Florence, built between 1874 and 1882, was designed in a Moorish style; the design is a mix of traditions of the Islamic and Italian worlds. Every inch of the synagogue is decorated with mosaic and marble, and the internal walls are painted with intricate designs. It successfully survived the Second World War, though there were attempts to destroy it. For a time, the Nazis used the synagogue as a warehouse and as a stable, and bayonet marks are still visible on the doors of the holy ark. Before the fascists fled Florence, they mined the synagogue with explosives. Fortunately, the partisans were able to defuse most of the bombs. One gallery fell, but was replaced. A wonderful way to experience the synagogue today is to attend services. As well, the second floor hosts the Jewish Museum of Florence, whose exhibits include Torah scrolls, ketubot and a variety of silver Judaica. Leaving Italy, the adventures continued in Dubrovnik. While the beach is the ultimate Dubrovnik destination, with its clear-blue waters, another piece of Jewish history is just steps away. In the rebuilt old city of Dubrovnik is Europe’s second-oldest synagogue. The Dubrovnik synagogue was built in 1652 in the Italian Baroque style. The sanctuary is divided by three arches and is decorated with ornate fabrics dotted with gold. The chandelier is particularly striking. The synagogue suffered severe damage to its roof during the Yugoslav shelling of Dubrovnik in 1991, but was eventually repaired. In the early 2000s, the first floor was converted into a museum chronicling the local Jewish community and honoring members of the community killed during the Holocaust. The cruise ship itself was dreamy; I especially enjoyed my balcony, reading and writing, staring at the endless blue of the water, and the one day we had on board the ship was relaxing. I ventured to a yoga class at the day spa and attended the ice-skating extravaganza, featuring Canadian, Russian and American skaters. Tears welled up as I watched this visual masterpiece. I was so impressed, I saw it twice the same day! Early the next morning, as the sun sparkled on Venice, the ship glided by the new levee system being built to protect Venice from its rising waters. The day started with a Royal Caribbean excursion to the island of San Giorgio Maggiore and a glass factory on the island of Murano, home to the exquisite Murano glass and a famous gondola ride. Later in the day, we boarded a bus – a waterbus – to Venice’s Jewish Quarter, which was once the ghetto. We toured the Jewish museum and explored the stunning synagogues, many of which are from the Renaissance era. Each one is built to the style and taste of the community that built it, but a general Venetian influence is apparent. The famous architect Baldassarre Longhena, who designed many churches, restored the Spanish synagogue, for example, which is spectacular. The community has erected a memorial to victims of the Holocaust, and art galleries filled with unique pieces of Judaica, such as dreidels and mezuzot made of Murano glass, and a kosher restaurant are open for business. As I wandered back toward the ship, I bought a pink mask. There was going to be a masquerade ball for the last night of the cruise. The sun had started to set and a golden glow danced over Venice’s waters. While the adventure was over, the party was just beginning.